Cool picks, nice Tin box. I like these. a bit better grip than a standard pick. It's very cool that every pick has a unique picture on them. I can't find any cons. I highly recommend them. 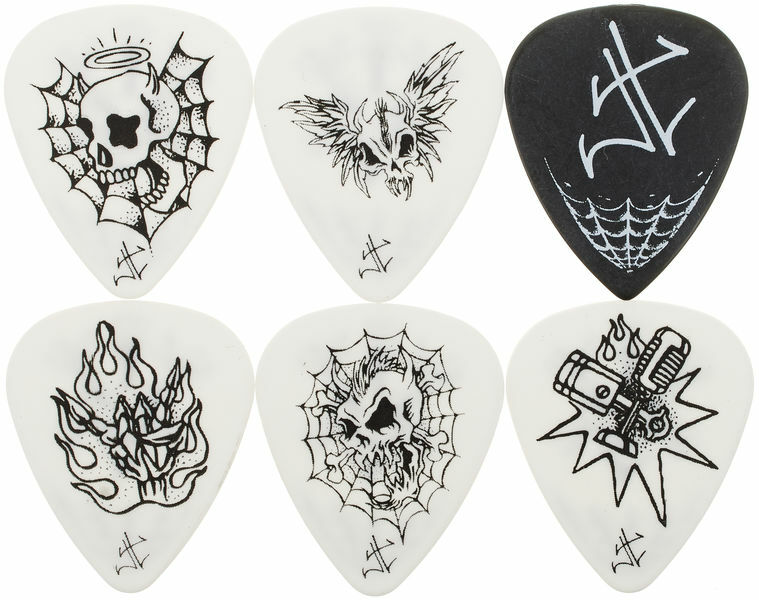 These picks are James Hetfield through and through. They feature gorgeously illustrated art-work that really fits the style of the famed Metallica front man! The only downside to the pick is that with fast tremolo picking they do begin to wear down, but only gradually and over a long period of time. They are the right amount of thickness to accomodate all different styles of playing from metal to hard jazz and anything in between. The price, rather moderate for what you're buying, really helps to show the quality at great price you get with Thomann's service. Well worth a buy if you're a fan of Metallica or you just want some great new picks. ID: 260732 © 1996–2019 Thomann GmbH Thomann loves you, because you rock!